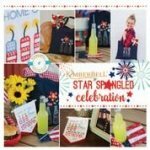 It's a celebration of red, white, and blue with Kimberbell, Find X Designs, and you! Dealer Exclusives Volume 3 includes 13 designs to introduce new techniques, teach embroidery skills, bring customers into your store and sell machines. With multiple options for every project, these exceptional designs are perfect for an embroidery club or monthly class, product demo, or make-and-take project. A cushioned mat that's a platform for your machine plus a hanging 13-pocket caddy for your fave notions and tools. 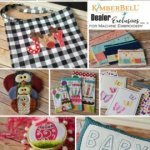 Kimberbell Tea Party: Make six exclusive event projects. Improve your embroidery skills and learn new techniques. 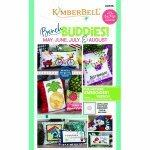 Receive a Kimberbell project bag and fabric kit with Kimberbellishments, plus step-by-step instructions and project CD. Cost includes supplies and lunch for both days.